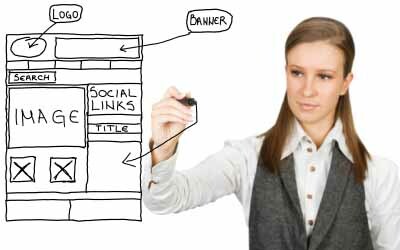 Create Website Design for your personal or Business Website. Whiz to Coho, Inc offers in-house web site design for a reasonable price. We understand that different sites have unique needs; Whiz to Coho will work with you to find a design that fits your project and your budget. Our rates for design work are based upon the type of work done, with a small web site of between one to three pages costing $600. A slightly larger project of between four to eight pages costs $1000. Larger projects with programming and data base applications generally cost $2000 or more. A new service we now offer is CMS websites. We can install, configure and customize CMS sites for as little as $500. We can even convert your existing site to a CMS site so that you can add content to it without the need to learn html, css or pay designers fees. If you require a shopping cart, blog, automated photo gallery or custom graphic design these can be added for an additional charge. We provide a detailed quote before starting each project so you will not get hit with an unexpected bill when the work is done. We also do site re-design and amendments. You can ask us for a quote. We have discovered that the best way to get the ball rolling is by having you tell us what sort of site you want by filling in our Website Planning Worksheet,which is available in Word format. Unlike a lot of other designers, we do not charge our customers until they are happy with the completed site. Once we have a firm idea of what you want, we will give you a detailed quote based upon the specifications. If you agree with the quote and would like us to begin working together, we request a 25% downpayment of "earnest money" and a 25% payment upon agreement of the final draft, with the remainderdue when the site is finished and you are happy with the product.